Judith Beveridge is the author of four highly regarded collections of poems and editor of several anthologies. The recipient of numerous awards, including many of Australia’s most prestigious prizes, she serves as poetry editor of Meanjin and teaches at the University of Sydney. Paul Kane, a poet, teaches at Vassar College. He is the coeditor of the Library of America’s Ralph Waldo Emerson: Complete Poems and Translations, and editor of Poetry of the American Renaissance, published by Braziller. One of Australia's most acclaimed and accomplished poets, Judith Beveridge combines an intensity and clarity of vision with an unsurpassed fineness of language. Tender and even affectionate, Beveridge’s poems model the interaction of spirituality, the natural world, and selfhood. 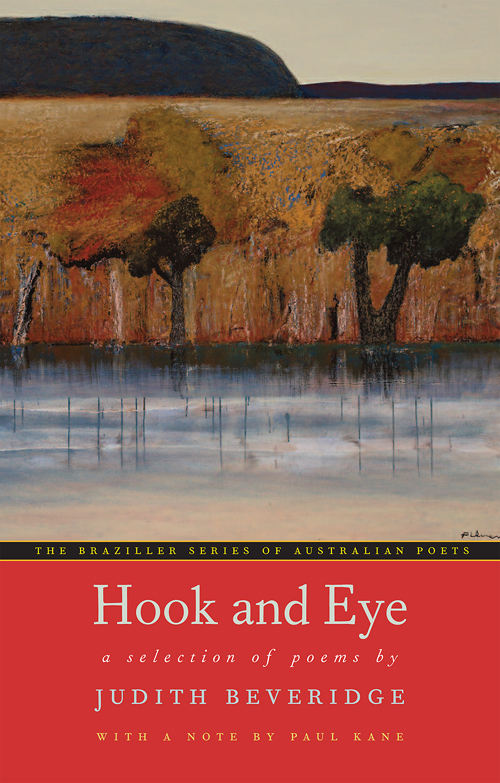 The third in Braziller's Series of Australian Poets, Judith Beveridge engages the world in ways that open up larger perspectives and deeper understandings. As the critic Clive James notes, Beveridge’s work displays “unfailing dignity of movement and quiet splendour.” Whether in relation to the natural world around us or to our inner world of intellect and emotion, Beveridge’s poems call us to account, exalting our capacity for knowledge and insisting upon the pleasures—and responsibilities—of attentiveness.